Every place has some interesting past, some are well known and some are not. These forts tell the tales of such a past in Himachal Pradesh. The bounty of nature in the Himalayan region attracts the travellers. It is the history of many places which had a glorious time. A visit to these offbeat tourist places is a must in Himachal Pradesh. These enchanting forts have stood the test of times and today they're the reminders of an olden era. Let us take a pictorial tour around these heritage sites! 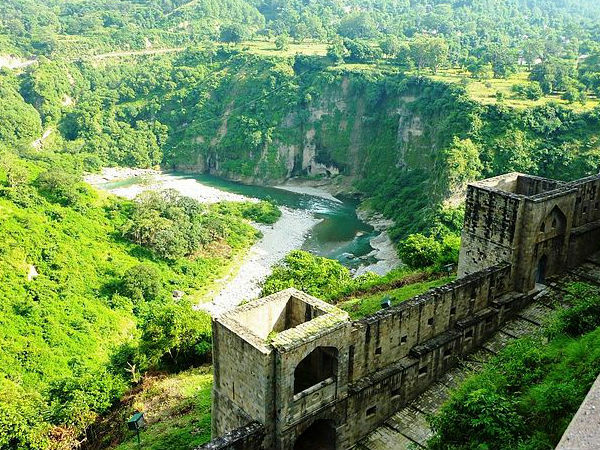 Kangra Fort was built by the Rajput rulers of Katoch dynasty. Surprisingly, it was mentioned in the records of Alemxander the Great dating to 4th century BC. Hence, it is said to be the oldest fort in India. The fort in the outskirts of the town Kangra is one of the famous forts in Himachal Pradesh.Another popular site, Masroor rock-cut temple is also situated near the fort. Arki Fort was built by Rana Prithvi Singh during 1695 - 1700. It has seen many battles and invasions in the history. It is located in Arki of Solan district which was once the capital of Baghal Dynasty. Kamru Fort is located near Sangla Valley, it is known for the image of Lord Buddha at its entrance. Kamru Fort is around 60km from Kalpa and is one of the prominent forts in Himachal Pradesh. The temple of Lord Badrinath and the image of Kamakhya devi are the two main attractions here. Nurpur Fort belonged to the Pathania dynasty which was earlier called as Dhameri. Later, it came under the rule of Mughal emperor Jehangir, who named the place after his wife Nur Jahan. Thus,the fort got its name as Nurpur Fort. Today, Nurpur Fort is in ruins but some structures are still recognisable. The fort is located around 30km from Dharamshala. Gandhola Fort is an 8 storeyed architecture which was built by Raja Man Singh in 1700 AD. It was once the home of the local cheiftain but now it is in ruined stage. Gandhola Fort is situated around 4km from Gandhola Monastery in the village of Tupchiling at Manali. In the town of Tira Sujanpur, we can seen many architectures built during the time of Maharaja Sansar Chand Katoch, the king of Kangra. The Sujanpur Fort is known for the excellent wall paintings. Unfortunately, many structures were destroyed due to the earthquake in 1905.Today, some parts of the fort remains.